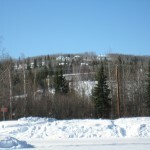 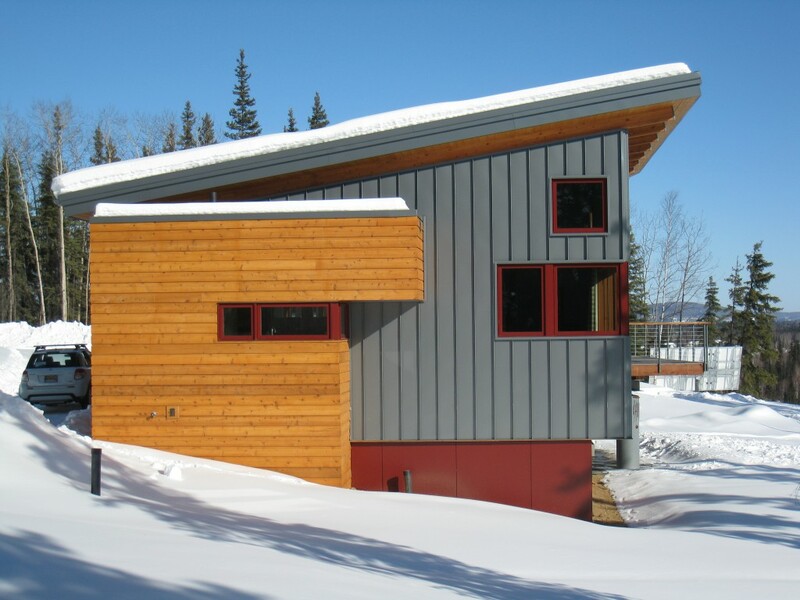 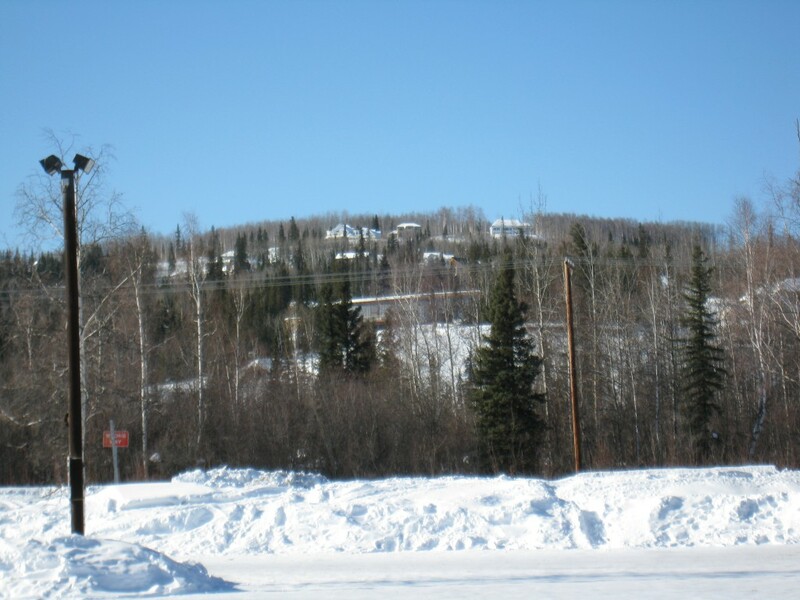 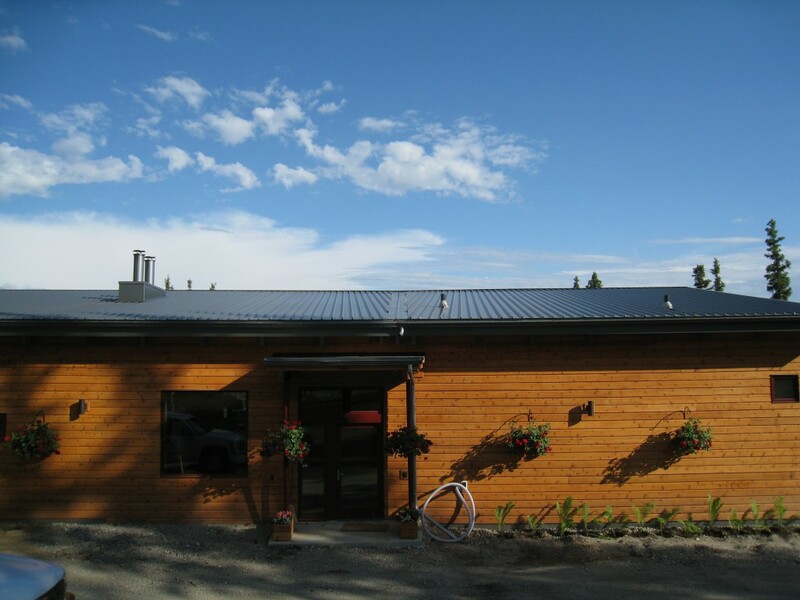 Overlooking the Chena river, the house has two different aspects. 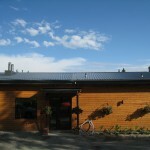 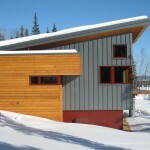 The road/entry side is clad in stained cedar and has fewer smaller windows. 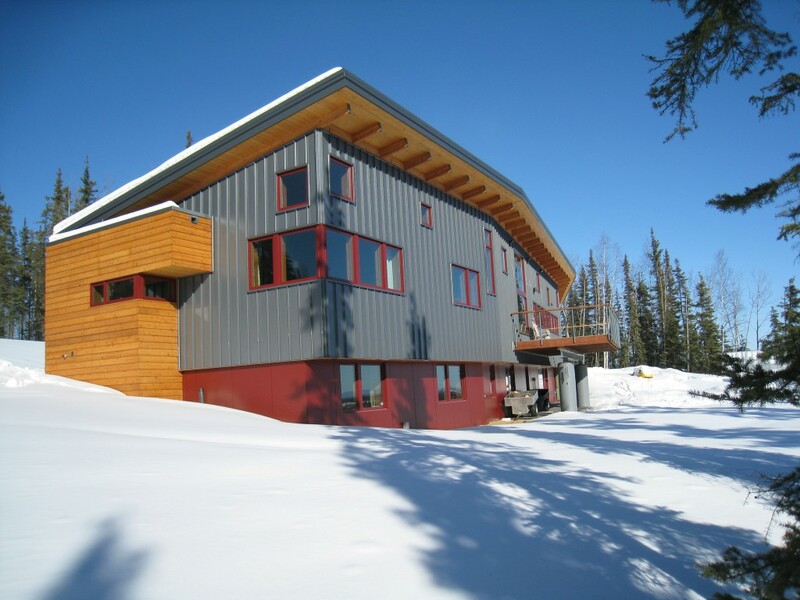 The exposed south side is clad in metal and painted concrete board and has more larger windows. 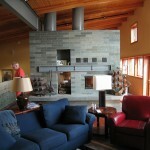 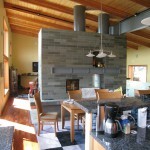 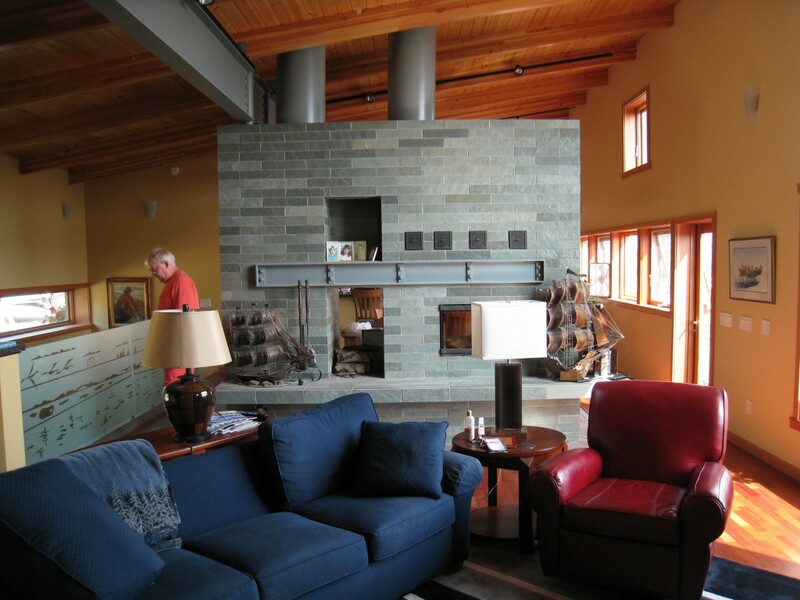 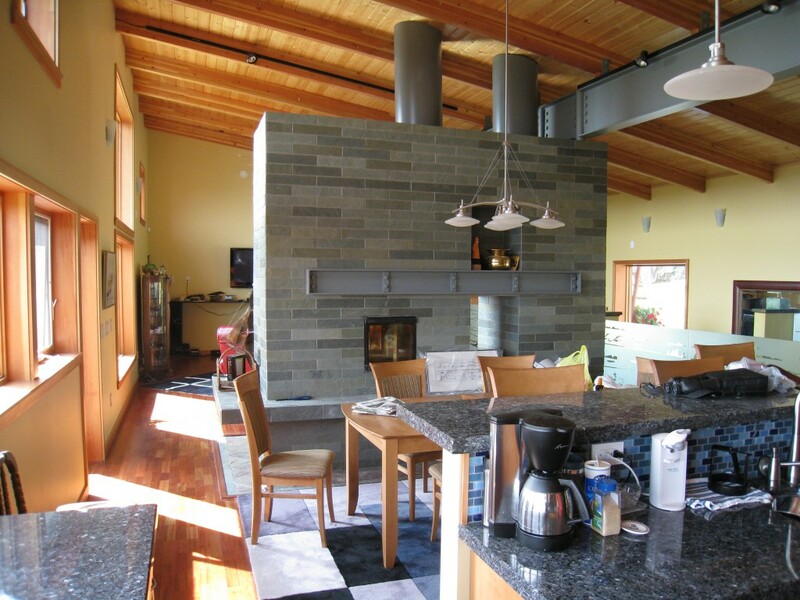 Two slate covered masonry heaters warm both floors and define the living spaces. 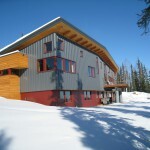 The house plan follows the natural curvature of the site.